I liked the Colour Challenge at Splitcoaststampers this week so much [see previous post] that I decided to use it again with the Merry Monday sketch. As the Colour Challenge also had a dessert option of Christmas, I am covering both challenges. The card base of Primrose Petals was put through the Chevron EF. The main image from Beautiful Season was stamped on Whisper White with Stazon Jet Black. It was then coloured with a Blender Pen and Primrose Petals, Pink Pirouette, Lucky Limeade, and Crumb Cake inks before being layered on a piece of Lucky Limeade. 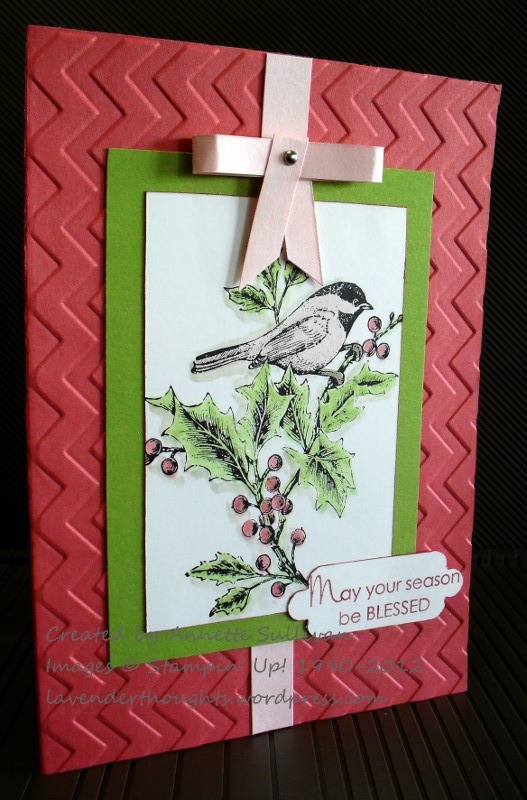 As the sketch called for ribbon and a bow, I decided to use Pink Pirouette card stock for this. The bow has a mini silver brad through the ‘tie’ part. The sentiment, also from Beautiful Season was stamped with Primrose Petals on Whisper White and punched with the Scallop Square punch. Unusual colours for Christmas, but I think that they work rather well, don’t you? Gorgeous card Annette! I love the chevron background and your image is volutes beautifully! Thanks for joining us at Merry Monday this week! Very pretty card Annette, the bird is lovely. Thank you for joining us for Merry Monday this week. The may be unusual colors, but they really work with this beautiful image, Annette! Thanks for sharing it with us at Merry Monday! I love your use of these colors and the sketch! Very pretty–a great Christmas card! Thanks for playing along and sharing this with us at Merry Monday! So cute! I love this image and your pretty paper bow! Lovely card, Annette. I love the Chevron look. 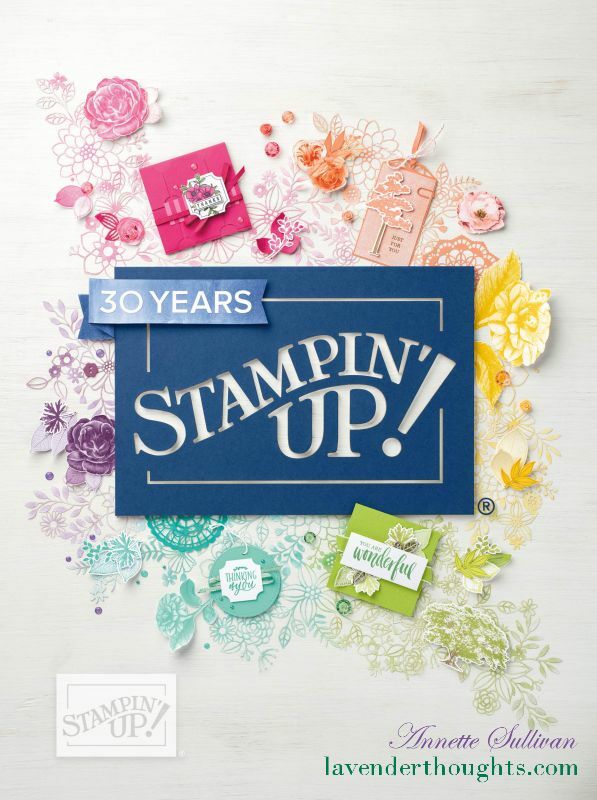 Gorgeous work Annette, this stamp is so lovely and you have coloured it perfectly. The chevron background looks great! Thanks for joining in at Merry Monday!